Nydia Blas is a visual artist living in Ithaca, New York with her two children. She holds a B.S. from Ithaca College and received her M.F.A. from Syracuse University in the School of Visual and Performing Arts. She currently serves as the Executive Director of Southside Community Center, a historically Black community center in downtown Ithaca. She uses photography, collage, video, and books to address matters of sexuality, intimacy, and her lived experience as a girl, woman, and mother. Blas delicately weaves stories concerning circumstance, value, and power and uses her work to create a physical and allegorical space presented through a Black feminine lens. The result is an environment that is dependent upon the belief that in order to maintain resiliency, a magical outlook is necessary. She is a recipient of the 2018 Light Work Grant, and her new series Whatever You Like is currently on exhibition at Over The Influence gallery in Los Angeles. 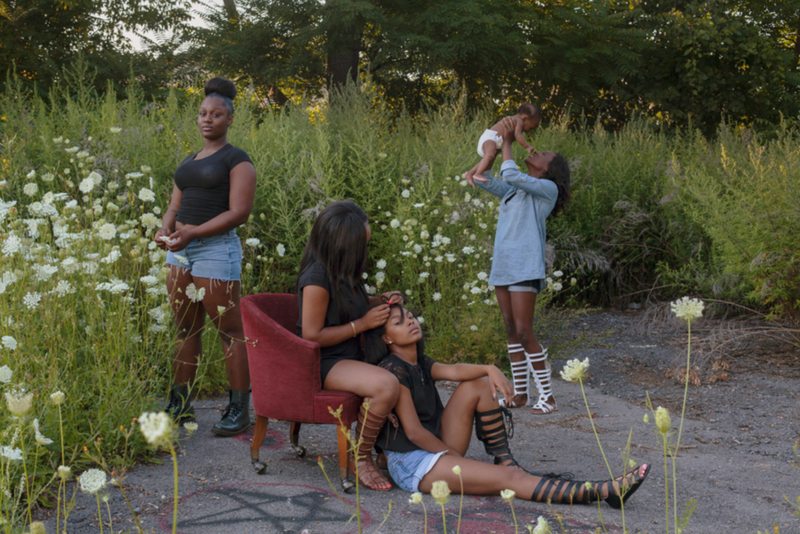 Her work is featured in the book Mfon: A Journal of Women Photographers of the African Diaspora. In the Summer of 2018, she will teach a course entitled Photography as a Tool for the Image Text MFA program at Ithaca College. She has completed artist residencies at Constance Saltonstall Foundation for the Arts and The Center for Photography at Woodstock. She has been featured in The New York Times, The Huffington Post, Dazed and Confused Magazine, Strange Fire Collective, Lenscult, Yogurt Magazine, PDN, Fotografia Magazine, and Vogue.